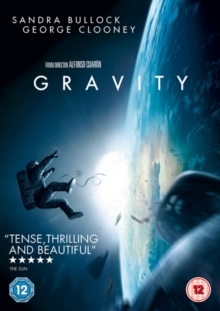 George Clooney and Sandra Bullock star in this award-winning sci-fi thriller directed by Alfonso Cuarón. Seasoned astronaut Matt Kowalsky (Clooney) is on his final mission in space, while medical engineer Dr. Ryan Stone (Bullock) is making her first outing on the NASA Space Shuttle Explorer. While they are engaged in extra-vehicular activity, debris collides into the shuttle, damaging it irreparably. Kowalsky and Stone now find themselves drifting in space with low oxygen supplies and cut off from all communication on Earth. They work together in their attempt to survive but will they make it back to solid ground? The film was nominated for ten Academy Awards and won seven including Best Cinematography (Emmanuel Lubezki), Best Director (Cuarón) and Best Original Score (Steven Price), and also picked up the Golden Globe for Best Director and BAFTAs for Best Director and Outstanding British Film.